The Turkish Army reinforced its air support capability with eight new, locally-developed and produced Bayraktar TB2 armed drones, delivered Thursday by Baykar Makina. The Turkish Armed Forces (TSK) is continuing to increase its Unmanned Aerial Vehicles (UAV) inventory after providing effective air support to Turkish security forces during Operation Euphrates Shield and Operation Olive Branch in northern Syria. Following its delivery of four armed UAVs in October, local drone manufacturer Baykar Makina delivered eight more armed UAVs Thursday, four months ahead of the planned delivery date in June. Bayraktar TB2s can also carry smart munitions developed by national rocket and missile manufacturer Roketsan. 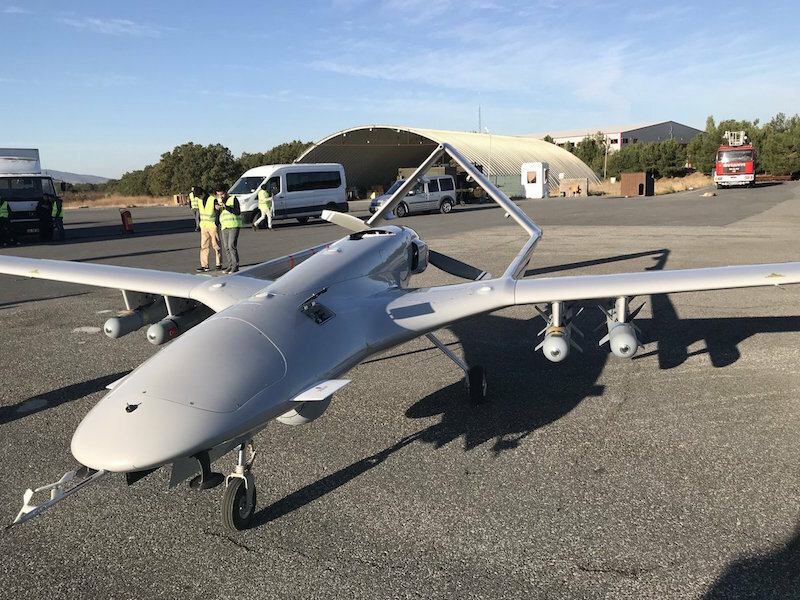 With the latest delivery, the number of Bayraktar TB2s in the TSK's inventory has risen to 34, in addition to six drones used by the National Police and six others by the Gendarmerie Command. Out of the total 46 Bayraktar TB2s, 23 have been configured to carry munitions. Actively used by security forces since 2015, the Bayraktar TB2 can fly uninterruptedly for 24 hours and boasts an altitude record at 27,030 feet. The system, with its electronics, software, aerodynamics, design and sub-main systems 100 percent developed and produced in Turkey, allows Turkey to cover its needs in this area independently. In addition to operations in Syria, the Bayraktar is also being used in anti-terror operations in the country's eastern and southeastern regions where mountainous terrain poses a challenge to security forces. The drone was the first nationally-made micro unmanned aerial vehicle in the Turkish army's inventory. It was also the first nationally-made UAV to be exported, as it was delivered to Qatar in 2012.